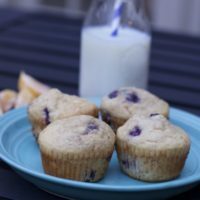 This make ahead muffin batter recipe post and Fit Bit Giveaway was sponsored by Milk Life on behalf of Influence Central. Do you have trouble getting your kids to eat breakfast on school days? Did you know it is recommended we get 25-30 grams of protein, before noon? Pairing a glass of milk with your breakfast is an easy way to help reach that protein goal, because it has 8 grams of high-quality protein in each 8-ounce glass. Well, my teens are notorious for running out of the house without eating anything for breakfast. , and I guarantee they are not getting the recommended amount of protein on a daily basis. However, they can’t resist the smell and taste of fresh muffins in the morning. But who has time for this? Now, you do! 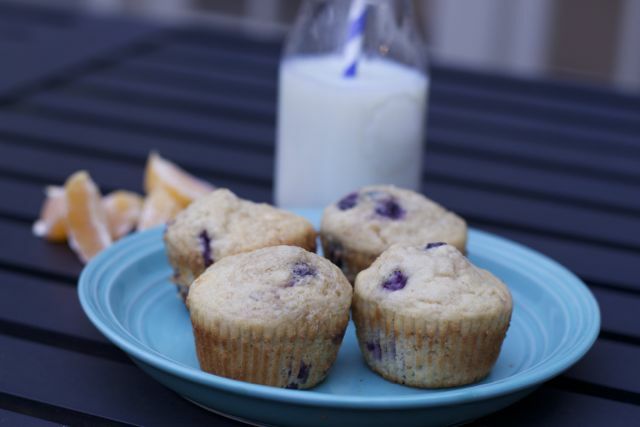 You can make your muffin batter on the weekend and freeze the batter to bake individual muffins in the morning. Before I get to the recipe, you must be asking, how is a muffin filled with protein? First, this recipe includes two cups of buttermilk. 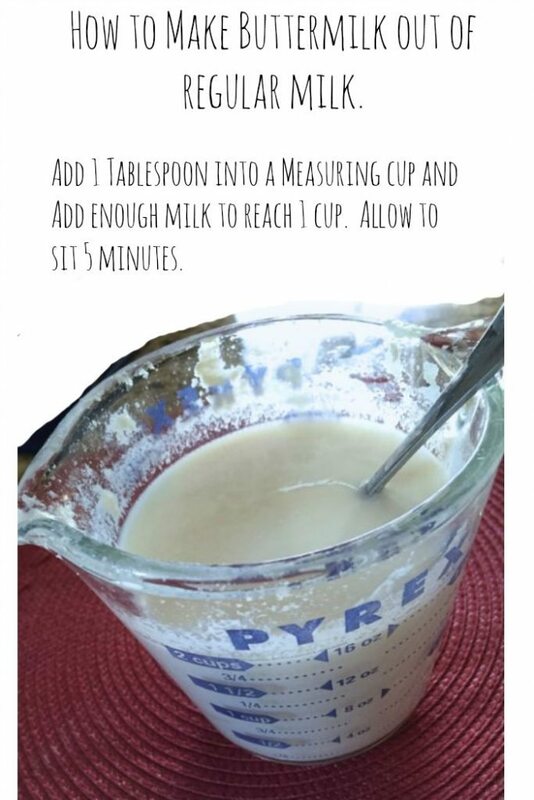 I used skim milk and made my own sour milk, as this adds protein to your recipe. Second, pairing your muffin with a glass of milk full of high-quality protein is an easy way to help give you the 25-30 grams of protein many experts recommend before noon. The best part of this recipe is that you can make the muffin batter in advance, and then freeze the muffins individually to make as many as you need each morning. Feel free to mix up the fillers. I tried freezing the muffin batter both with and without cupcake liners and found that the muffins with liners were easier to take out. I added some sanding sugar to a few of mine and they came out great too. Once the muffin batter cups are fully frozen, you can take them out and put them in a labeled freezer bag to save space in your freezer. It takes only an additional 5 minutes to bake these. Be sure to always check your muffins while baking as ovens vary. Pairing a glass of milk with breakfast is an easy way to start your day off right and help meet the recommended amount of protein in the morning. Add a piece of fruit as well, and as a parent, you can feel confident you are sending them off to school on the right foot. Don’t wait until dinner to get your necessary dose of protein. Getting 25-30g of protein before noon will improve your energy and focus throughout the morning. I know my kids can use any encouragement to be focused first thing in the morning, as they are not morning people. Now get a jump start on your fitness goals. We are thrilled to give two (2) of my readers the chance to win one (1) Fitbit Flex (retail value $99.99). Enter the Rafflecopter below. 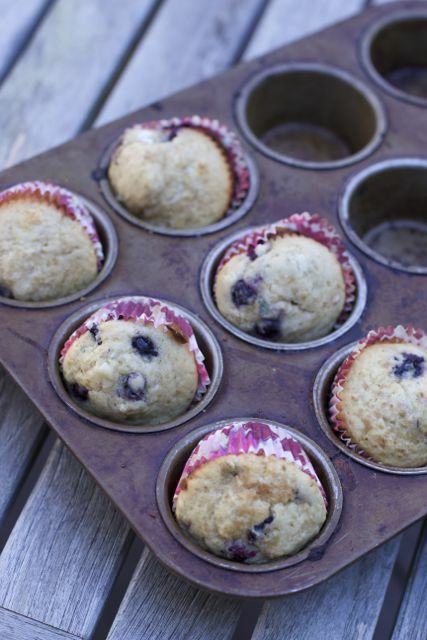 These blueberry muffins are great as you can freeze the batter and bake them as needed in the morning. Sift the flour, sugar, baking powder, baking soda, and salt into a large bowl and blend with your hands. In a seperate bowl, whisk together the buttermilk, butter, lemon zest, and eggs. Stir the buttermilk mixture into the flour mixture with a fork, mixing just until blended. Fold the blueberries into the batter. Don't overmix! 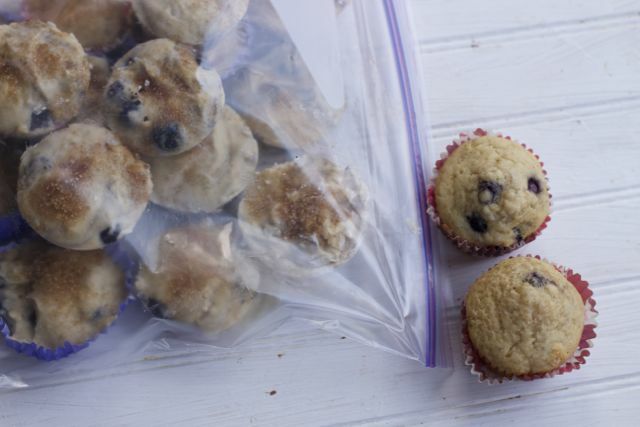 Freeze the muffins until completely solid. Remove from tray and put them in a freezer bag. Bake the muffins for 20 to 25 minutes at 375 degrees, until golden brown. You may need to add another 5 minutes due to them being frozen. I admit I so want a fitbit. I am obsessed with wanting to get one. Been saving pennies and dimes. Also I tried this recipe and OMG so good. Ummmm. The milk in my latte? Oops…I’m pretty bad about eating breakfast…and so don’t usually get morning protein. Unless it’s a weekend and I have an egg. Guess I should reconsider my morning dietary habits. I like have eggs for breakfast. If I don’t have time to make eggs then I at least have a spoonful of peanut butter to get protein in. I make protein shakes in the morning. I get my morning protein by eating oatmeal with banana, walnuts, dried cranberries, chia, flaxseeds, cooked quinoa & teff, honey and a bit of cardamom. I usually get my morning protein with eggs but I think I like this better. I am making these this weekend. I make a protein shake. Sometimes I have eggs or peanut butter toast. I get my morning protein with a meat, egg and cheese breakfast burrito along with a large glass of milk. I like to scramble an egg and add lots of veggies to it! I keep chopped fresh veggies in the freezer. I eat greek yogurt with fruit in the morning. For breakfast I usually have eggs boiled or scrambled, or a protein shake. My morning protein consists of Greek yogurt. Sometimes we eat eggs for breakfast. I love egg whites and chia pudding to get my protein in. I get morning protein in omelets. I eat eggs every other day – but I also add beef collagen to my coffee every morning. It sounds weird but no, your coffee doesn’t taste like a steak. 🙂 it doesn’t have any taste, but adds a good bit of protein. I like eggs or protein powder in a smoothie. I usually get my morning protein from eggs!! I get my morning protein by eating oatmeal. I get my morning protein by eating eggs or lean turkey sausages and your muffin batter that is high in protein is one that I want to try! I eat greek yogurt with almonds and fruit to get my protein in! Yummy! 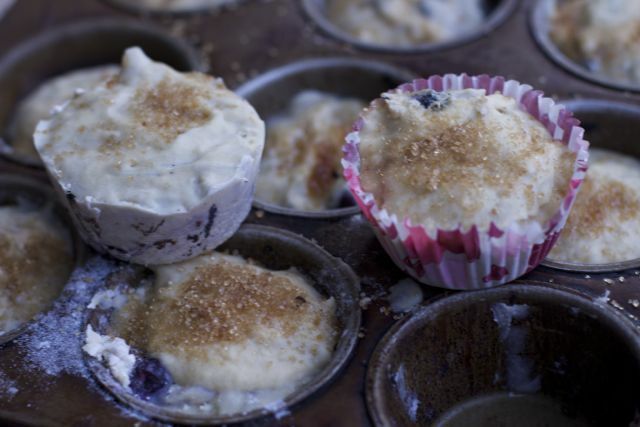 We love muffins in our house, especially for breakfast. I will keep this recipe on hand for sure, I know my kids would love it! 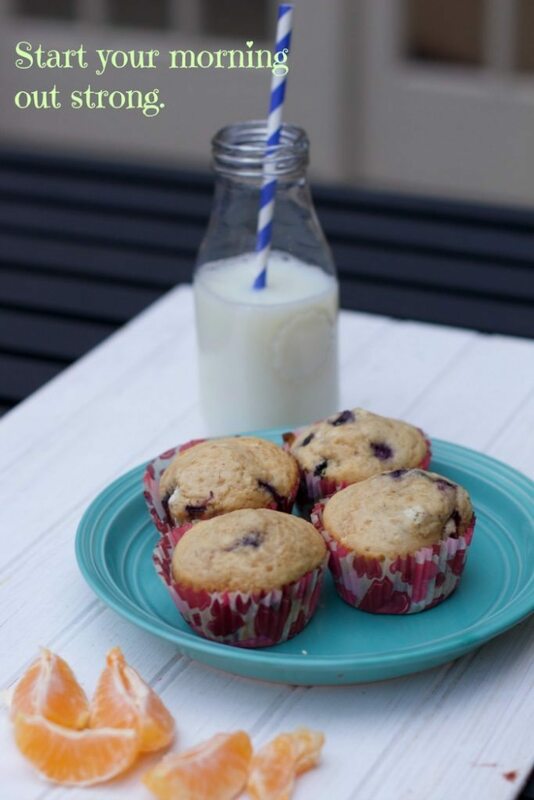 Muffins are one sure fire way to get my kids to eat breakfast, since they are so appealing in look and smell plus easy to grab! I can’t wait to try this recipe! I struggle sometime getting my morning protein because I don’t love to eat breakfast all the time but I really like the idea of these muffins. Especially the make ahead part! These muffins look sooo delicious and easy to make also! I would love to win a FitBit! I get my morning protein from oatmeal or other whole grains and fresh fruit.